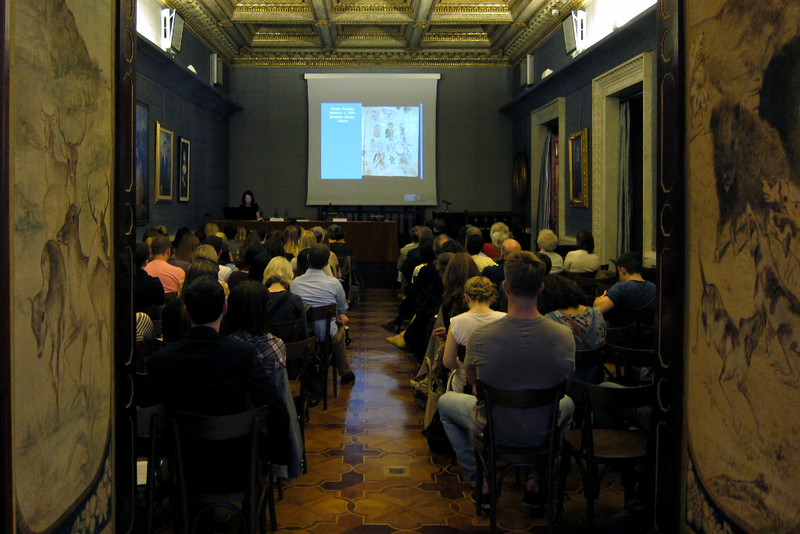 In May 2010, the Italian Art Society together with the Samuel H. Kress Foundation launched a new lecture series. 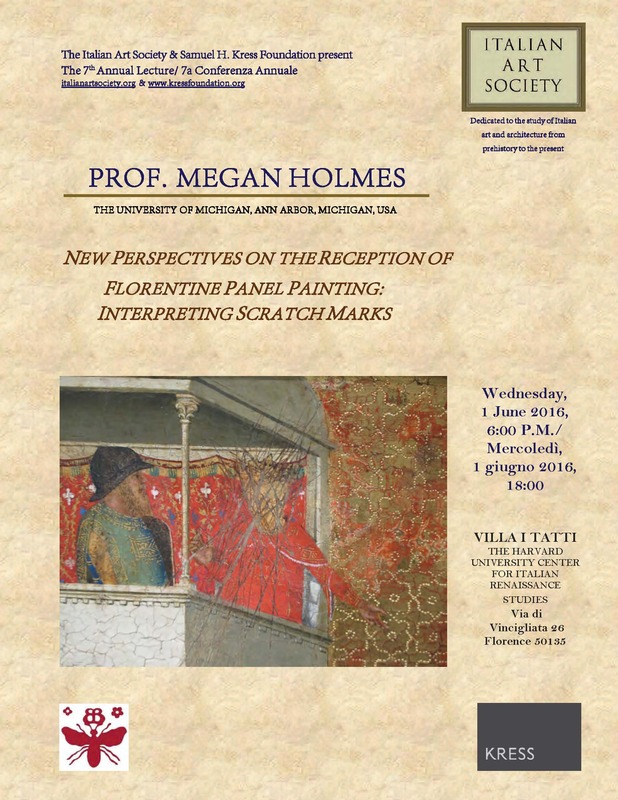 Known as the IAS/Kress Lectures in Italy, this series seeks to promote intellectual exchanges among art historians of North America and the international community of scholars living or working in Italy. The IAS would like to recognize the generous sponsorship of the Kress Foundation for this lecture series. This paper will explore an understudied feature of Florentine Renaissance panel paintings: evidence of the intentional scratching, with a sharp implement, of the pictorial figuration and imagery. These scratch marks, found across a variety of genres and formats, and display contexts, can rarely be documented and or dated with any precision. Similar intentional markings can also be found in works of art in other global, historical cultures. I will argue, nonetheless, that these scored Italian Renaissance panel paintings constitute an intriguing body of historical evidence that offers insights into the dynamic and motivated manner in which people interacted with images in daily life in their religious and social practices, in public and private spaces. The practice seems to have been more widely prevalent in the fourteenth and fifteenth centuries, tapering off in the sixteenth century. I will attempt to theorize and situate these scratching acts, looking at both Renaissance period perspectives and current scholarship on global “iconoclasms.” These deliberate markings are part of what Michael Camille called “the archaeology of the image and its subsequent reception” and they need to be more in evidence in collections, photographic reproductions, and the art histories that we write. See the flyer. IAS Secretary (now Executive Vice President) Sean Roberts introduced the speaker, whose lecture built upon research first presented in her recent book Art, Ritual, and Civic Identity in Medieval Southern Italy (Pennsylvania State University Press, 2014). 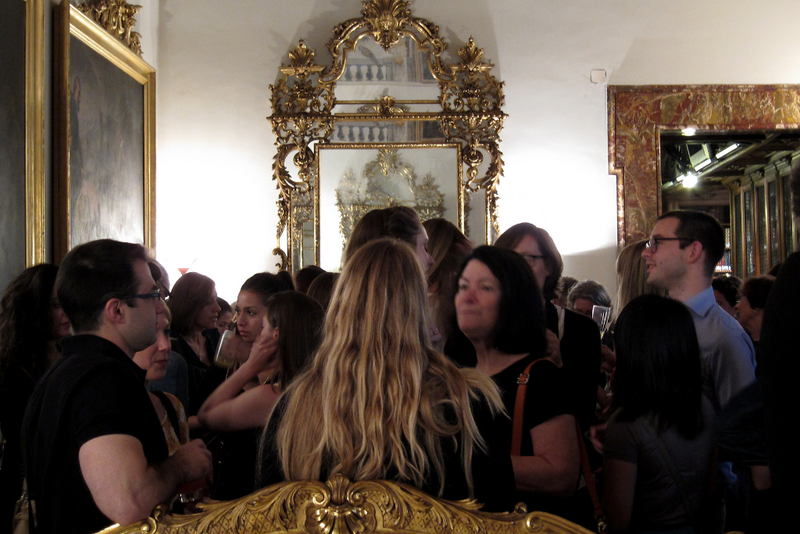 Approximately 35 people were in attendance, split roughly 50/50 between English speaking scholars and Italians. These included professors and students at the Università degli Studi di Napoli Federico II, several current Fellows from the Villa I Tatti in Florence, and graduate students from American universities. In her lecture, Prof. Zchomdelidse sharpened the broad geographic scope of her previous project to focus on mutable conceptions of ecclesiastical space, and their relationship to a changing tradition of liturgy, aptly within the environs of eleventh through thirteenth-century Naples and especially its environs in Campania. In particular, through readings of both extant examples and illustrations in period manuscript illumination, she explored the evolving function of the ambo, or pulpit, in the churches of medieval Campania. Through a fine-grained analysis of the use of these pulpits for staging readings of Scripture, as well as the iconography of their decoration, she presented a compelling case for the ways in which liturgy was celebrated as a distinctive and highly localized practice that varied widely from region to region. The early twelfth-century pulpit at the cathedral of Ravello, for instance, employed the motif of Jonah being swallowed by and subsequently emerging from the whale both to emphasize a typological relationship to the liturgy and simultaneously as a galvanizing image for the local congregation as the story played a particularly prominent role in the Easter Mass in Campania. In this way, Prof. Zchomelidse convincingly demonstrated the ways in which pulpits served the dual purpose of re-staging scriptural, and especially Christological, spaces and events for believers while helping to craft a civic identity specific to medieval Campania. A lively question and answer session followed the talk. The IAS is deeply grateful to Vinni Lucherini, Professoressa di Storia dell’arte medievale in the Dipartimento di Studi Umanistici, Università degli Studi di Napoli Federico II, Naples, who organized the lecture as well as to Dr. Alessandra Rullo who provided invaluable assistance in Naples and to Professore Francesco Aceto of the Università degli Studi di Napoli Federico II who welcomed attendees. We are also grateful to Dr. Stefano D’Ovidio, who assisted Events Coordinator Gilbert Jones with the lovely reception held in the cortile outside the Aula. 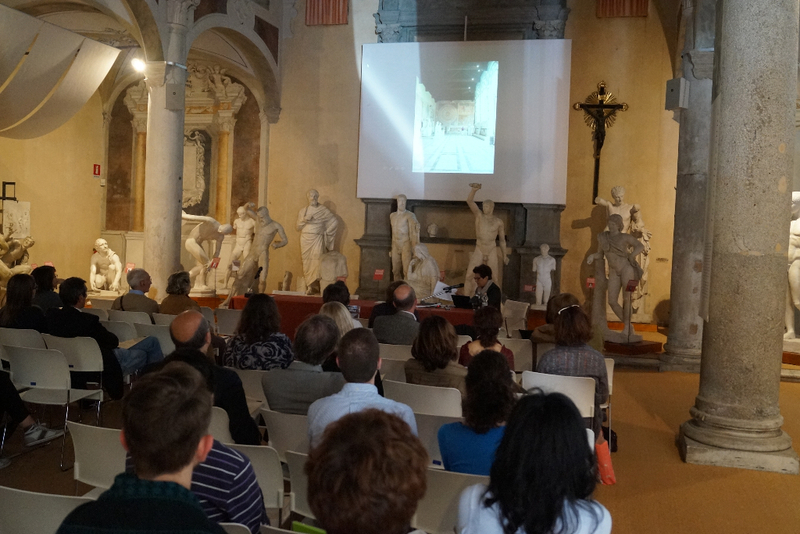 The fifth annual IAS/Kress Italian Lecture series took place on Tuesday, May 27 at the Gipsoteca of the Università di Pisa, San Paolo all’Orto, Piazza San Paolo all’Orto, 21. Cadogan’s lecture examined the murals painted by Benozzo Gozzoli in the context of the changing civic function of the Camposanto in the fifteenth century, as well as altered economic, social, and political conditions in Pisa. Dr. Cadogan is Professor of Fine Arts at Trinity College in Hartford, CT and the author of Domenico Ghirlandaio, Artist and Artisan (Yale University Press, 2001). 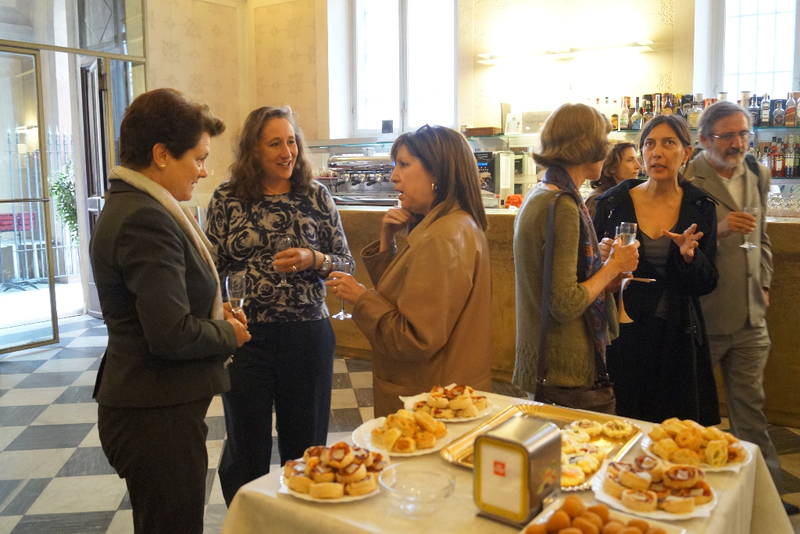 Hosted by the Dipartimento di Civiltà e Forme del Sapere, lecture attendees were invited to enjoy a reception and further conversation after the talk. 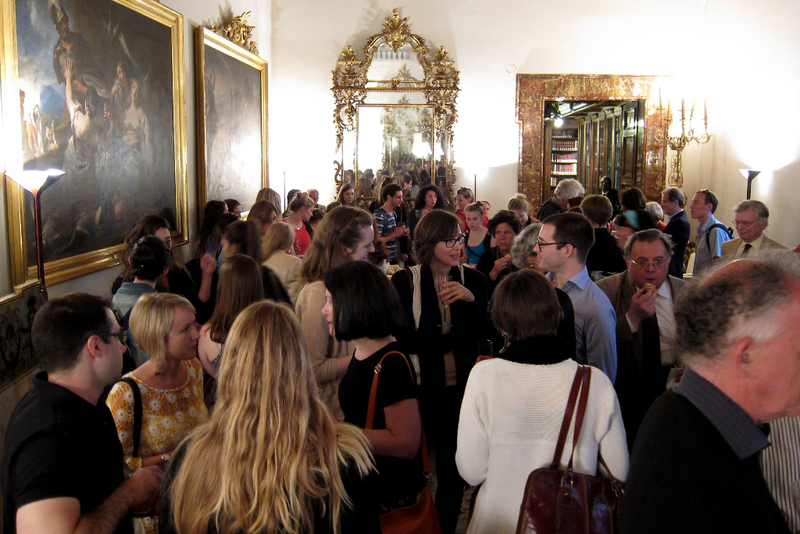 The fourth annual IAS/Kress Italian Lecture Series was hosted on Tuesday, May 28 at the Fondazione Marco Besso, Largo di Torre Argentina #11, followed by a reception for all attendees.On January 14, 1506, a discovery shook the artistic and antiquarian worlds of Italy. After decades of digging up unidentifiable fragments, a major over-life-size statue group was unearthed in Rome that was both almost complete and autographed. The subject matter, Laocoőn and his two sons entangled by murderous sea serpents, was unusual enough to be readily recognized as the doomed Trojans Virgil had described (Aeneid 2.201-27). Furthermore, the marble was inscribed with the names of the collaborators, Hagesandros, Polydorus and Athenodorus. The sculpture’s subject and signatures allowed it to be readily matched to the Roman Pliny the Elder’s lengthy laudatory description in his Natural History (c. 77 AD). If Pliny’s notice confirmed the sculpture was the Laocoön, then its discovery had the reciprocal effect of corroborating Pliny’s accuracy and reliability. As this paper will show, the Natural History solidified its status as a favorite reference source throughout the sixteenth century. The demonstrated unimpeachable nature of Pliny’s testimony influenced period developments in both Italian art and theory. 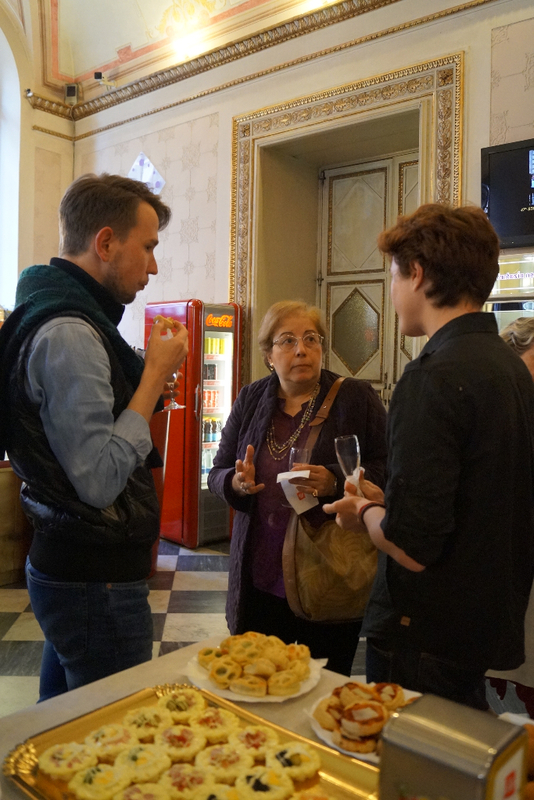 The third annual IAS/Kress Italian Lecture Series was hosted on Wednesday, June 6 at the Palazzo Franchetti, Campo S. Stefano, part of the Istituto Veneto di Scienze, Lettere ed Arti. A light reception followed the talk. 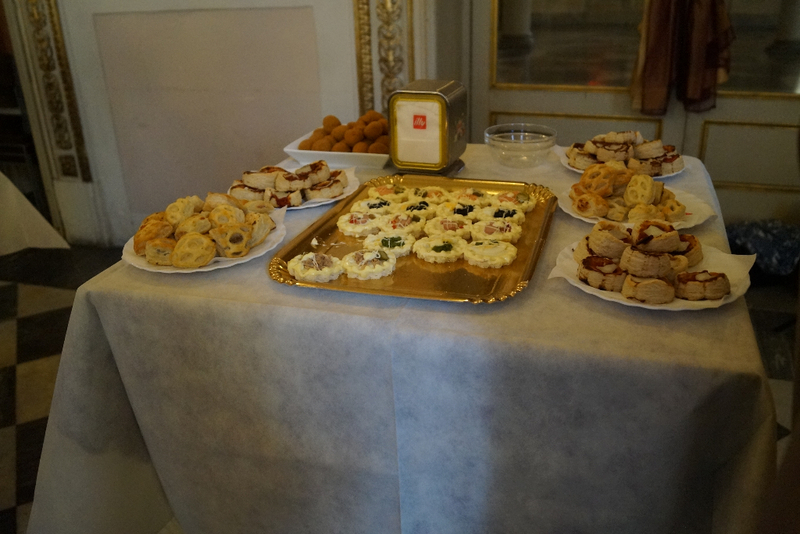 The IAS would like to recognize the numerous people who helped in the planning and facilitation of the event: Janna Israel, Meital Shai, Stefano Riccioni, Cristiana Filippini, Gail Solberg, and Cathleen Fleck and, at the Palazzo Franchetti, Sandro Franchini and Giovanna Palandri. The second IAS/Kress Lecture in Italy took place in Florence on June 8, 2011. 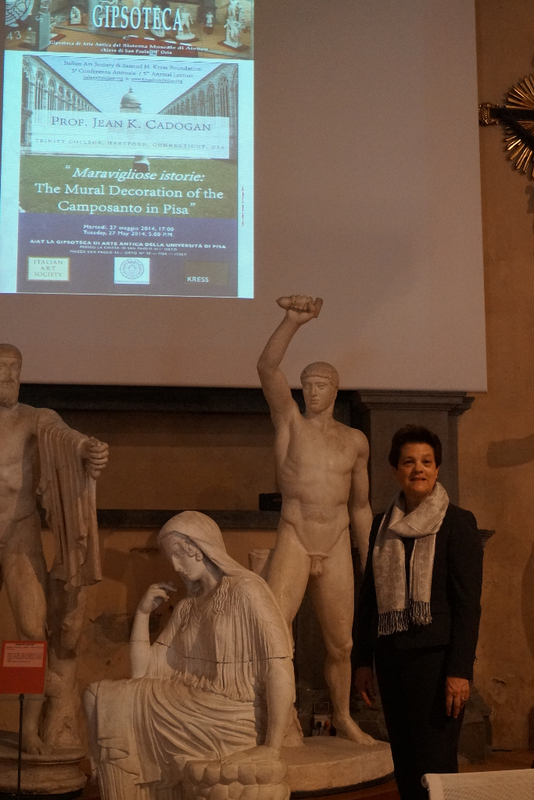 Dr. Alison Luchs, Curator of Early European Sculpture at the National Gallery of Art in Washington, D.C., spoke at the Accademia delle Arti del Disegno, and a visit to the Palazzo dell’Arte dei Beccai followed the lecture and reception. Thanks are due to Gail Solberg, who served as the on-the-ground coordinator for the event. Segretario Generale Domenico Zangheri and Dr. Silvia La Rossa facilitated the use of the Accademia delle Arti del Disegno and the Palazzo dell’Arte dei Beccai. The inaugural lecture, held May 26, 2010, featured Herbert L. Kessler, Professor of Early Christian and Medieval Art in the Department of the History of Art at the Zanvyl Krieger School of Arts and Sciences of Johns Hopkins University. 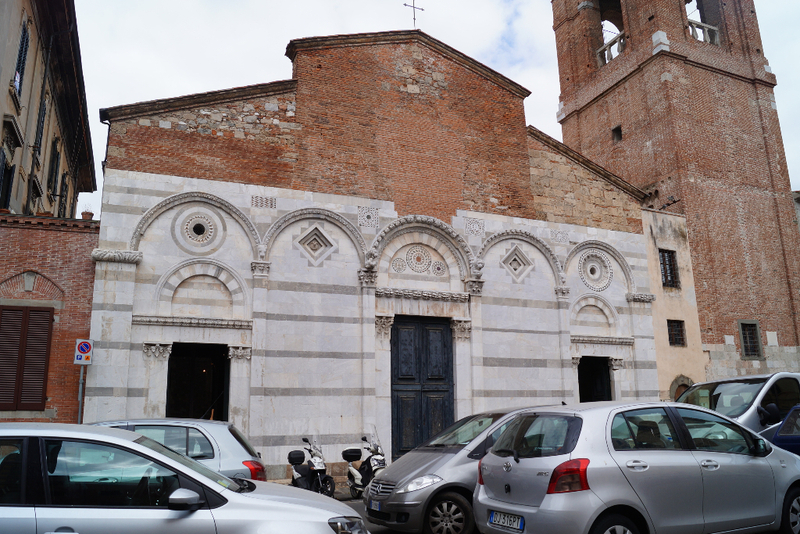 The lecture was held in the Sala Alessandrina of the Archivio di Stato di Roma, Sant’Ivo alla Sapienza Complex. The 2010 IAS/Kress Lecture in Italy was dedicated to the memory of Philipp and Raina Fehl, great friends of the IAS and Kress Foundation. 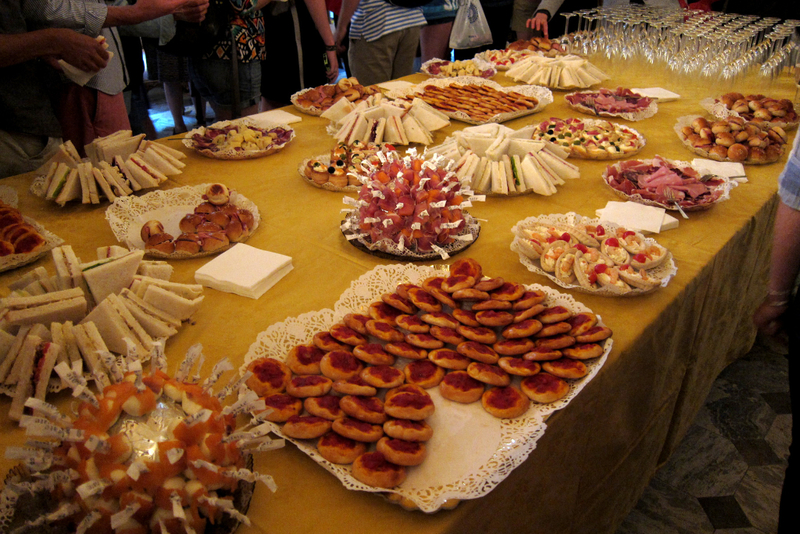 The IAS would like to thank Cristiana Filippini and Daria Borghese for their assistance with the local arrangements. The IAS furthermore would also like to recognize Eugenio Lo Sardo, Director of the Archivio di Stato, for generously hosting the lecture at his institution.